Want to know more about how iDENprotect can help you? 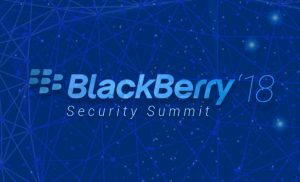 Next week iDENprotect will be showcasing at the BlackBerry Security Summit 2018 – we will reveal to attendees how iDENprotect for BlackBerry can enhance security for the enterprise, and convenience for the end user through the use of innovative authentication and single sign-on techniques. Some of the speakers at this year’s event include Dr Alex Constantinidis Group CISO of Qatar National Bank, Jon Chen CEO of BlackBerry and many more. This event will be a day full of learning, sharing and networking and one not to be missed. If you are interested in seeing our live demo, meeting with the team and finding how we can help you, you can register and find out all the information you need here.